NOTE: The dataset is publicly available for non-commercial use. Please refer to Lim et al, Information Sciences, 2014 if you use this dataset in your publication. 5 video sequences (TableT1 to TableT5) to test the effectiveness of tracking small object (i.e. table tennis ball) that exhibits fast motion. 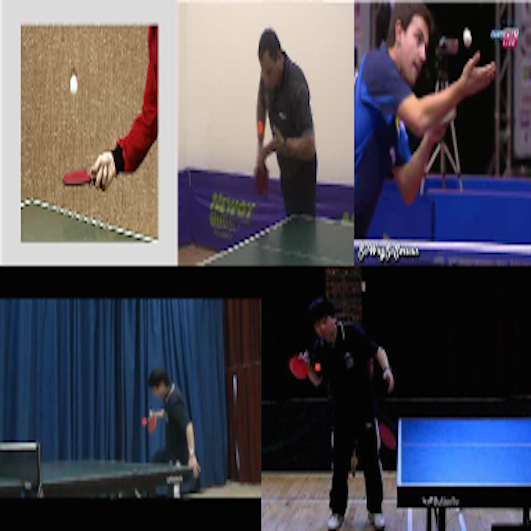 Size of the table tennis ball is very small; about 8x8 pixels to 15x15 pixels for an image resolution of 352 x 240. 3 video sequences (Youngki, Boxing and Malaya1) to evaluate the effectiveness in tracking both the abrupt and smooth motion. The Malaya1 is created by combining the frames in the Boxing and Youngki sequences in an alternative manner. 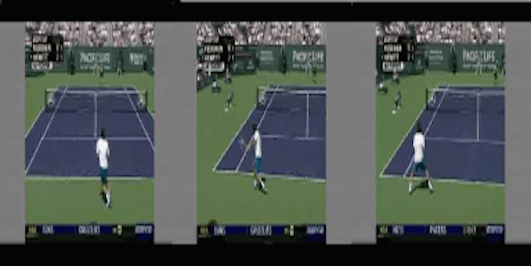 1 video sequence (Tennis) to test the effectiveness of tracking during low-frame rates. It is taken from Kwon and Lee - Wang-Landau Monte Carlo-based Tracking methods for Abrupt Motions, TPAMI2013. The frames herein are downsampled from a video with more than 700 original frames, by keeping one frame in every 25 frames. 2 videos (Malaya2 - Malaya3) to test the effectiveness of tracking with inconsistent speed movement. Both videos are downloaded from the Youtube. Malaya2 is a synthetic video sequence where the ball moves randomly across the video with inconsistent speed. Malaya3 is a video sequence a subject juggles a soccer ball in a free-style manner. 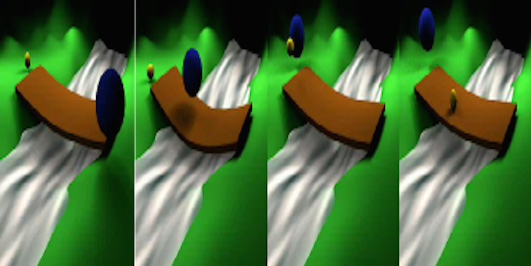 In this video sequence, the camare is not static, and the background is highly textured. 1 video sequence (Malaya4) to evaluate the effectiveness of tracking multiple targets. Malaya4 is a synthetic video sequences that consists of 2 simulated balls, moving at random speeds. All image sequences are in JPEG format and the resolution of each sequence varies (e.g. 360x240, 384x288). A folder containing the ground truth of the object position for each sequence is also provided. This research is based upon work supported by the High Impact Research Chancellory Grant UM.C/625/1/HIR/037, J0000073579 from the University of Malaya. Any opinions, findings, and conclusions or recommendations expressed in this material are those of the author(s) and do not necessarily reflect the views of the University of Malaya. DISCLAIMER: Electronic paper shared on this website are for fast dissemination of research work. The copyrights of the papers belong to the corresponding publishers.